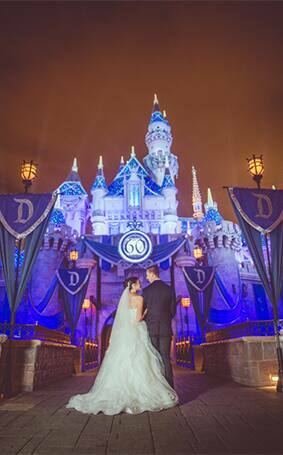 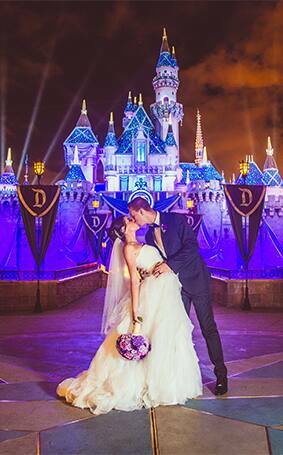 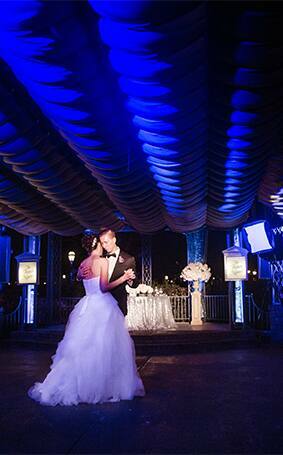 Disneyland couple Jenna and Jacob described their wedding as a true depiction of a modern fairy tale- it doesn't get much better than that! 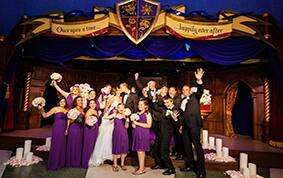 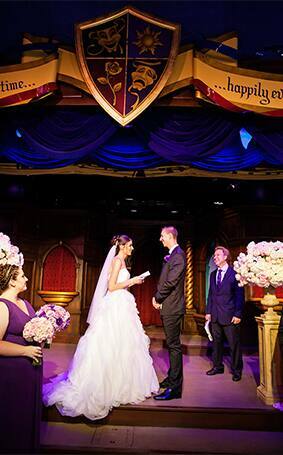 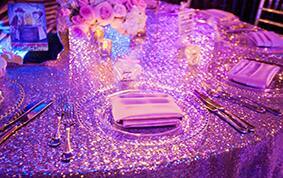 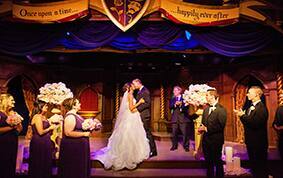 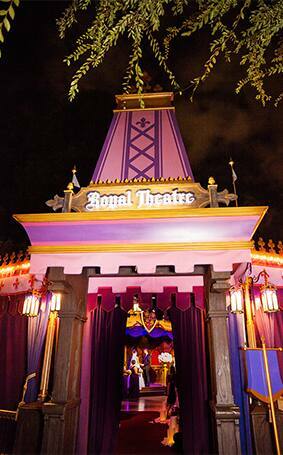 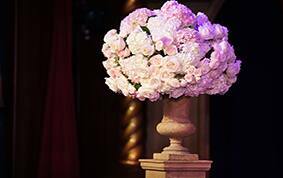 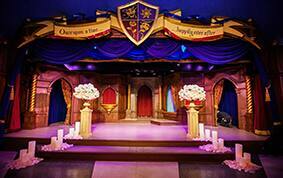 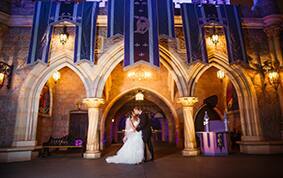 Their ceremony at Fantasy Faire Theatre encompassed a "once upon a time" feel and the bride's Kleinfeld wedding gown was a perfect fit to the happily ever after nuptials. 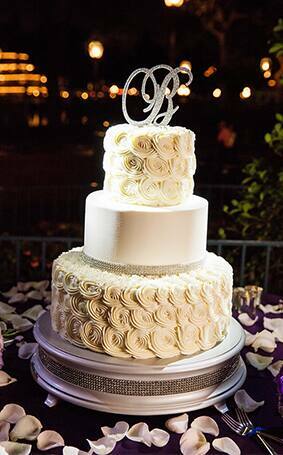 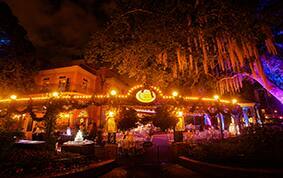 After they tied the knot, they traveled down the bayou to the French Market in New Orleans Square for a private after-hours reception tucked away in the park. 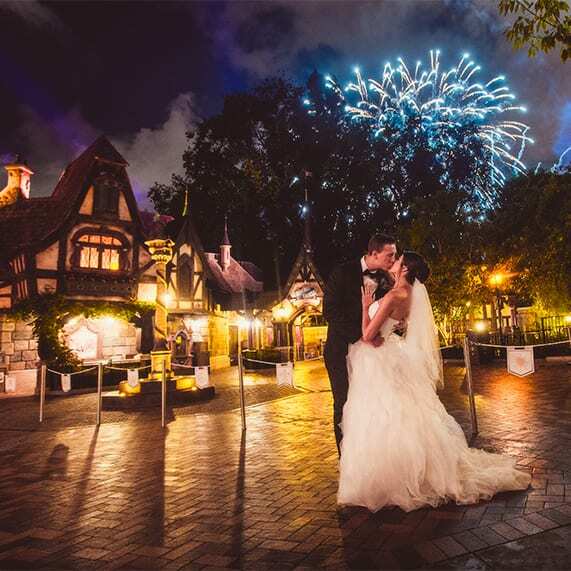 The couple snuck off during the party for a few moments to capture some amazing portraits at their favorite attractions. 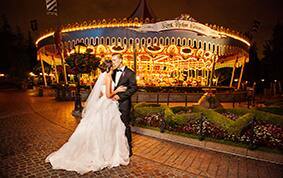 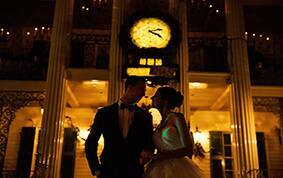 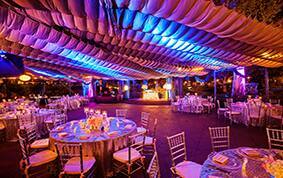 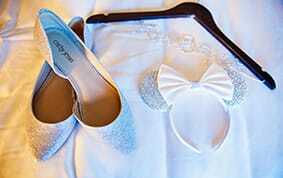 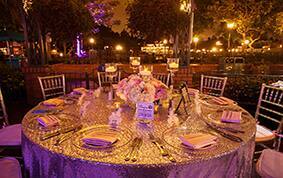 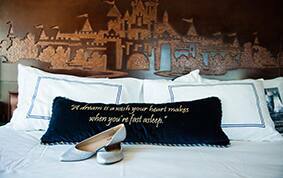 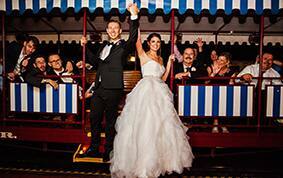 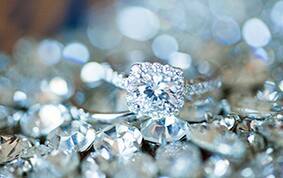 From getting ready in the Disneyland Hotel to exiting on the famous Disneyland Train, every moment was simply perfect. 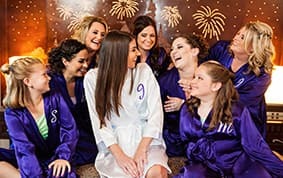 Their absolute favorite part? 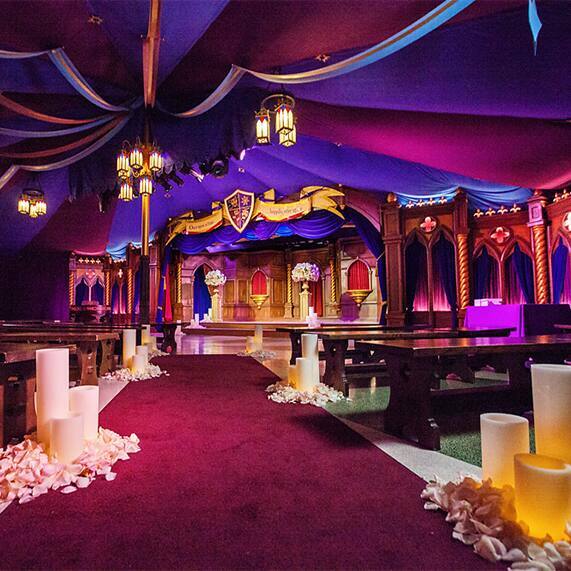 Having an exclusive celebration inside an "empty" Disneyland with their loved ones- a place that will always mean the world to them.